My hand mixer broke and I was lost without it! I am always making keto foods with my hand mixer and I didn’t want to get just any mixer, I wanted a good one that wasn’t going to break down on me. I also like convenience! My boys are at the age to help me unload the dishwasher; the problem is that they put my beaters for my mixers all over the place and I can’t ever find them. This is why I wanted this mixer. Not only is it super powerful with 220 watts of power and 9 speeds, it also has a convenient storage case that connects right to the mixer so I can easily find my beaters! Click HERE to find it on SALE today on amazon! 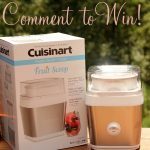 Cuisinart kindly donated a hand mixer for me to do a giveaway! Those are just a few keto baking ideas! If would like to win this awesome Cuisinart 9-speed Hand Mixer worth $99 it is easy to enter! 1. 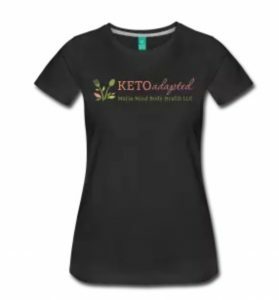 Like Keto Adapted on Facebook and share my page with your friends and family! 2. Check out my support group page for The 30 Day Ketogenic Cleanse! 3. Comment below on what keto recipe of mine is your favorite! 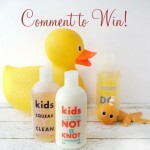 Winner will be chosen Sunday April 30th! Good Luck! AND THE WINNER IS… Kathy Croghan! Congrats! 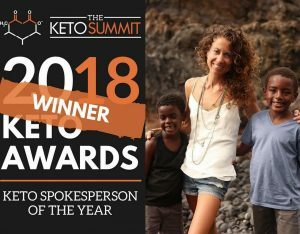 Most people I consult are doing keto totally wrong. 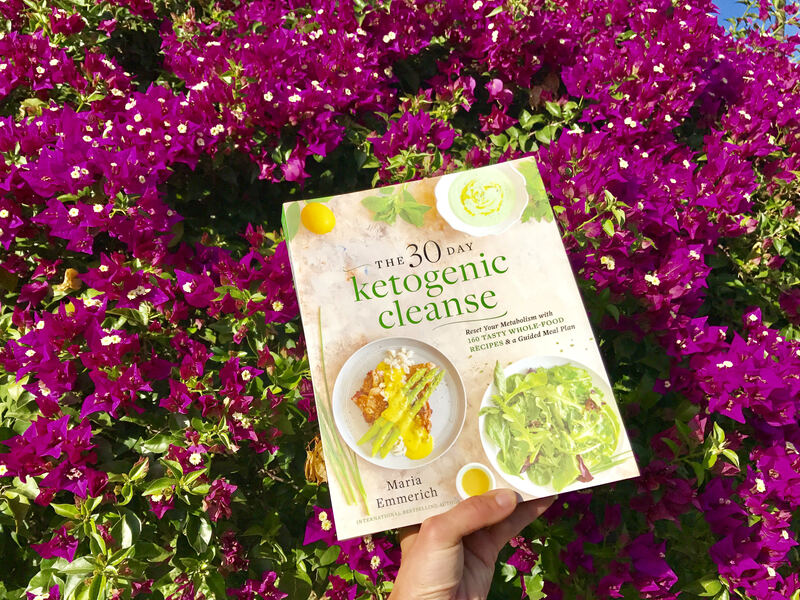 Get fast results with The 30 Day Ketogenic Cleanse book! ON SALE today! 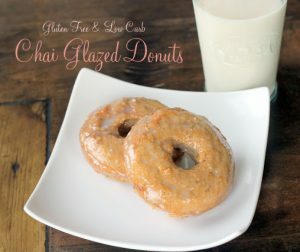 You have some fabulous recipes and it’s hard to choose just one but those chai glazed donuts are calling my name right now. My favorite of your recipes is the pumpkin sorbet. You don’t need a blender for it but I love the bacon and egg ramen from the cleanse cookbook. I love, love, love your Milk Chocolate Ganache Cake! Bacon and mushrooms with soft boiled eggs has been the most savory tasting for me, but I’m looking forward to trying your Tropical pudding cake for my birthday this weekend! I’m in love with the breakfast chili. It’s always so good and makes a big enough batch to last a few days! Easy break my fast meals for this momma are always appreciated! These recipes look so good and it would great to have a hand mixer to make it simpler. Thanks! I love all your recipes…I have everyone of your books!! I make the waffles from your kid book for my daughter every week and your mayo and dairy free ranch are staples in our house. My mixer was my mother-in-laws. 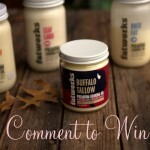 I would love to win this to make the Nutella cupcake recipe! I have gluten allergies so I have found a lot of these work for me and my poor functioning gall bladder. I love Maria’s chocolate pudding ❤️ It’s probably my favorite..
Hard to say which recipe is my favorite, most likely it is the last one that I made. They are all delicious. Those Nutella cupcakes look seriously divine !! Hi Maria, It is hard to choose just one, but I would have to say the Philly Cheesesteak is a huge favorite in our house. For a quick snack, we LOVE the cookie dough dip! I’m so glad I found this page. Love your recipes and motivational posts. I cot pick one recipe, I have all your books and pre ordered the new one. I love all your recipes I have tried. I love the lemon bread. Yummy! I think I’ll be trying your Gingerbread mini donuts soon. 🙂 Thanks for your facebook presence. That always reminds and encourages me. I have made many of your recipes and appreciate your hard work developing new ones. I just bought your 30 day cleanse and can’t wait to get started. All your recipes look so good and easy! I purchased your new Ketogenic cleanse book. I am trying to wrap my e around life without cheese, do I have not started the plan yet. Going to try the Hollandaise this weekend. Just received your cleanse cookbook and have a preorder for the Comfort Foods cookbook! I am dying to try those apple donuts in your post above! I love the “hot pockets” from the kids book. I just recently started the 30 day cleanse. All the recipes so far are amazing! Love the chocolate pudding – can’t believe it’s made with eggs!! Well clearly I believe that every one of the photos you have posted above would be my favorites! 😉 They all look so yummy! I really like your bagel recipe. I add cinnamon to them and they are delicious! But I also like be your bacon and egg ramen! Breakfast chili tops the list also. There are so many I love! I’m off to make one of your donut recipes! How do you pick just one recipes!? I’ll start with the Zucchini bundt cake. I have two of your cookbooks and so far we love every recipe we’ve tried! Our two family favorites are the BBQ chicken pizza and the Asian lettuce wraps from the Ketogenic Cookbook. 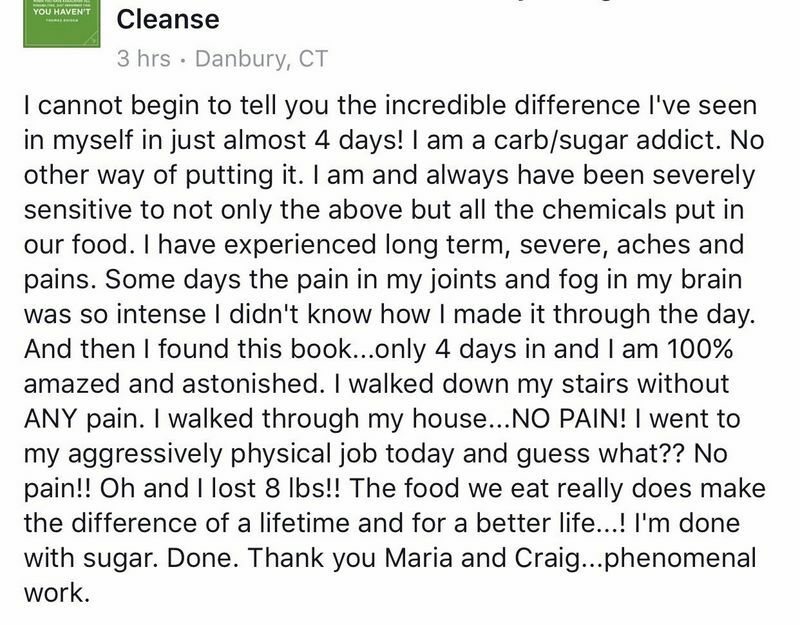 I really want to try your cleanse now! I’ve been enjoying your key lime bars. Thank you for all your wonderful recipes! Yaaaasssss! The Key lime bars! oh, yum! It feels like cheating! There are too many, but my family loves the Lemon Bread! Your cinnamon rolls are the bomb! I made them for a diabetic friend and he loved them. Your recipes do not disappoint!! I’m drooling over the mixer almost as much as the donuts! I’ve got a thing for appliances and gadgets! I couldn’t pick just one .. don’t make me! Lemon bread. Thanks for a chance! Your cookie dough cupcakes! One of the first keto recipes I tried and I LOVE them still! There are so many recipes of yours that we enjoy. But the lava cakes in your 30 day Cleanse book are delicious and one of our favorite desserts! Sign me up! 😀 Do I have to pick just one recipe? I love every recipe I’ve tried, but the one I make most often (and know by memory) is the psyllium bread (amazing low carb bread/ low carb sub bread). This recipe is so easy – it requires one bowl and I can have it mixed up and ready to go by the time the oven is pre-heated! I have made sandwich loaves, buns, French style loaves, and even bagels from this recipe and all have turned out great! So many are great! So I have to mention the one I keep going back to over and over again… your chili! I love your Calzone recipe! I miss italian food and that always tames my craving! You have so many wonderful recipes, thank you!!! I haven’t made any yet, but so interested in what the Keto bread tastes like! I love lots of your recipes, but I probably make your Biscuits & Gravy recipe the most. I make extra sausage gravy to keep on hand to incorporate into other meals. Lemon bread is my favorite! I’m heading to Costco today to pick up the cleanse book! I’m fairly new to keto and have enjoyed learning from you. I can’t wait to try the sub bread recipe. I bet it will make good cheesy garlic bread! So many choices! Hmmm probably have to go with cheesecake! Lemon Bread oh my heaven in my mouth!! I’m not picky on the recipes but I love the IF technique. I’d seen it mentioned in another book and wow that was really helped me get things under control. As far as the mixer goes, could really use another one seeing as my pitbull puppy got the cord of my last one – really not sure how she pulled that one off lol! 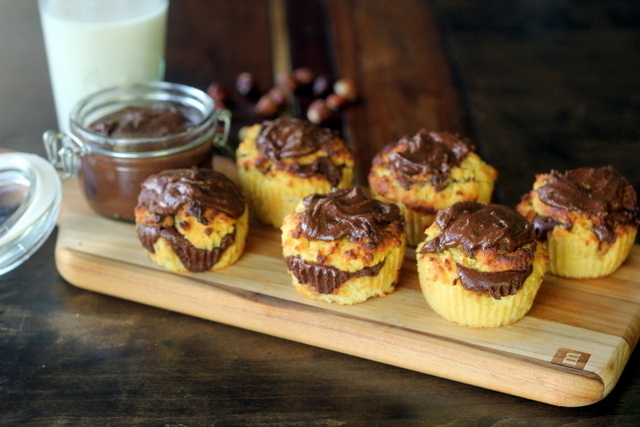 Though I haven’t tried it…I want your Nutella cupcakes! I miss cake! Thanks for a chance to win the mixer. …and all the advice on the keto woe! Love all that Maria has done for us and my friends!! 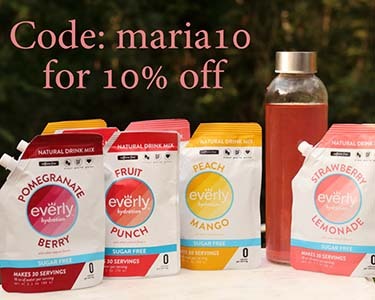 This mixer looks great and will come in very handy for all of Maria’s recipes!! Thank you!! Loves and Hugs!! The chocolate donut recipe I received when I signed up for your website. YUM chocolate donuts are my all time favorite. It brings back so many wonderful childhood memories, when the Helms Bakery truck used to come down our street blowing its whistle. All the neighborhood kids would come running, with their money in hand to get a fresh hot Bakery donut…. I love many of your recipes! I’m on the cleanse right now and I really like the Bacon and Eggs Ramen. It makes such a satisfying break-your-fast meal! Just made the ropa vieja. It was delicious! This mixer looks amazing. My kitchenaid hand mixer doesn’t have much power. I just got your 30 Day Ketogenic Cleanse book in the mail and the recipes look divine!!! I’m so excited to start this Journey on Monday!!! Starting the cleanse Monday! I appreciate all the work and wisdom that goes into your books and blog. I’ve been following for a while now and haveven a window of opportunity to do this. Thanks for all you do. We love your waffles from the Kids Cookbook! Love those fudge fat bombs! I also like all the waffle ideas too. I just bought your 30 days cleanse book and I cannot wait to start. I’ve actually purchsed all your books after following you in facebook. Love all your recipes but I love donuts and your donut recipes are to die for!! Thank you!! The chocolate torte and fudge! I make the waffles from the cleanse book every Saturday. I also love the sloppy joe recipe. I feel so lucky to be able to eat this way and your recipes are the best I’ve found. 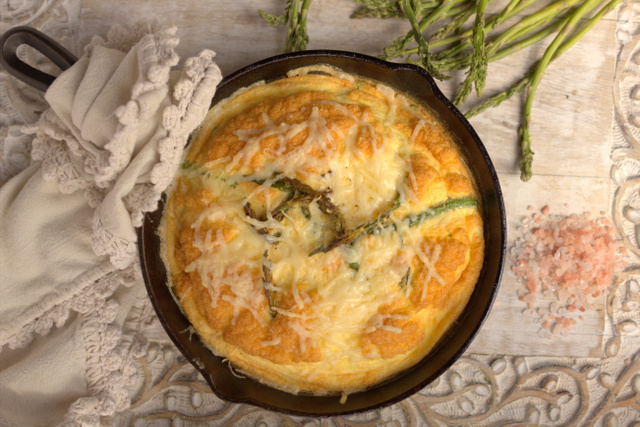 We loved your recipe for psyllium husk bread! Actually haven’t found a recipe of yours that we didn’t like. I need this mixer to make some of your awesome recipes! I can always use a new kitchen toy! It’s hard to choose just one of your amazing recipes!!! Right now my families favorite is the chicken and broccoli braid and cinnamon rolls!! Mine broke too so I need one asap! I LOVE your cinnamon rolls! Oh my…. Just one!! How about the orange smoothie! 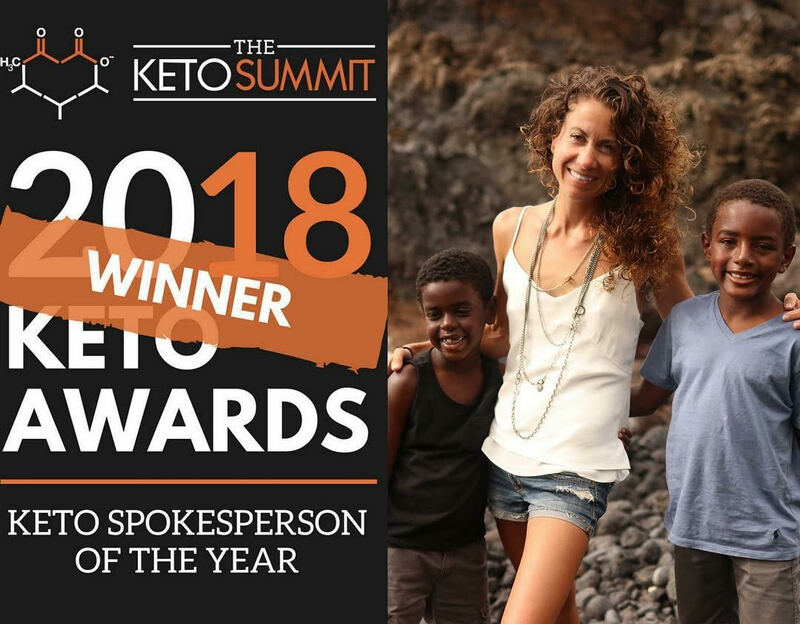 I love so many of your recipes and your ability to help someone adapt to the lifestyle not just look at Keto as a temporary fix to achieve a weight loss. I can’t WAIT to get my hands on Comfort Foods. Thanks, Maria! Lemon bread, or any donut recipe I love all the recipes! I really love your Snickerdoodle Waffles recipe. 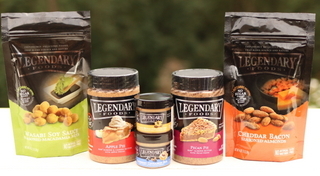 Haven’t tried them yet but I am looking forward to making some donuts! Not sure I have a favorite recipe. But two that would definitely be in the running for favorite are your Cinnamon Rolls and the Zero Carb Dutch Baby. And I may have to buy one of these if I don’t win. I’m still using the Cuisinart hand mixer I got as a wedding gift almost 25yrs ago. So far my favorite is the kimchi and eggs. Yum! Thank you for all you do and leading the way of this Keto WOE!! I’m just starting out – seems like with everything! Newly single, having to rebuild my life, and so unhappy with myself physically – decided it’s time for yet another change: my diet and lifestyle. I’ve read two of your books and I’m very encouraged that I know I can do this! My favorite recipe (so far!) is your keto bread. The only downside is having to whisk by hand – this would make things much easier! Thank you so much for all your work and willingness to share your experience with us – you’re making a world of difference for so many people. Absolutely, and literally, inspiring! It’s really hard to choose just one of your recipes, Maria! Today we had our Friday morning Rosti, made with sauerkraut instead of cabbage, and it was all eaten before I thought to take a photo. The full Chocolate Pudding recipe mixed with two packages of Miracle Rice makes two breakfasts every week (this week I changed it out by leaving out the cocoa and cinnamon and substituting banana extract). Great for those days when we must get going! Slow-cooker chicken thighs are a weekly staple, and…and…and…. I would love the Cuisinart – my old Oster takes more than 10 minutes beating the egg whites to get the Keto Bread not to flatten. Just made your Mocha Fudge Cake & it was a hit with all guests at the party…no one guessed it was “sugar free”! I even had 3 people ask me for your recipe as they want to make it for Easter. 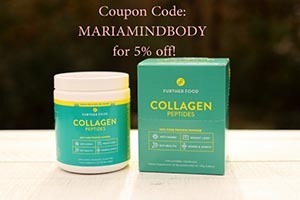 Love the amazing health benefits I’m experiencing. Thank you, Maria! Your mocha fudge cake is my “go to” cake! My husband even requests it. Have your new cookbook on order. Can’t wait to get it! I love the recipes in the Quick and Easy Keto. With spring and summer approaching I am loving the Orange Push pops for a refreshing treat!!! Love all of your books. ‘Keto-Adapted’ was the one that introduced me to this way of eating. So many favorite recipes. ‘Easy dairy free hollandaise’ has been a complement to many meals. Thank you for all your work in the Keto world. Everything! Haven’t had anything I haven’t liked yet, but I definitely Urey have my favorites that I always keep on hand. Peanut butter chocolate bulletproof ice cream is the most amazing thing on this Earth! Also, always have to have breakfast chili in the fridge. Amazingly delicious! I’m unable to pick just one recipe. Sorry. I like/love too many to choose. My favorite recipe is the chocolate eclair. I am still a sweet tooth girl at heart! My husband loves the ropa vieja from the 30 day cleanse! I love many of your recipes but the Chimichurri Flank Steak is a favorite. Those donuts sure look yummy! Hard to believe they are keto! The nutella cupcakes are calling my name – I need to make them for Easter. Soooo many amazing recipes, the Jalapeño Popper Deviled eggs!!!!!!!! Ridiculous!! I love the lemon bread, too! But I think all your recipes are great and I really appreciate that you share other folks’ recipes on your page. I’ve found some favorites through your recommendation. I love the Laotian Chicken from Quick and Easy Ketogenic Cooking! So easy and tasty! I also love the Orange Dream smoothie from the same book! I’m still waiting for the 30 Day Ketogenic Cleanse to come in the mail (my Costco was sold out). I have liked your Facebook page already – my name on FB is Kelly Dianne!!! My very favorite is the Flourless Chocolate Torte! So, so good! I ❤ your Tom ka gai soup! Going to make the chocolate pudding this weekend and looking forward to trying your chocolate chip cookies and those nutella stuffed cupcakes! You are truly a food genius! I love your recipes! One of my favorites is your energy bars though. Perfection! OMG not sure I can pick one…. there are quite a few in the Cleanse. OH OK my hubby’s fav is that Lava Cake or the chocolate pudding! The breakfast chili is the one. My favorite so far is the Strawberry Cheesecake in a Jar. It’s so tasty and I love Swerve and use it exclusively. I’ve never found a sugar substitute I liked until now. I’m very happy to have found one. My father is diabetic and he used splenda. I’ve tried for a while to get him to switch. Because of your suggestions I’ve gotten him to switch to Pyure! Thank you so much! I purchased your Quick & Easy Ketogenic Cooking book and have lost 10lbs so far! Very happy! I do like your cinnamon rolls, but this zucchini cake looks like one I will have to try. 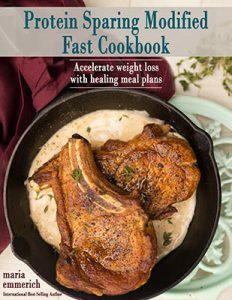 I love reading and trying the recipes from Keto Adapted! I love all of the bullet proof recipes…but the ice cream is my favorite! The Zero Carb Dutch Baby looks intriguing to me. I will have to try it. It’s so hard to pick a favorite. I love your cinnamon rolls. I think the “apple” doughnuts are going to the top of the list!! My copy of 30 Day Ketogenic Cleanse finally arrived today! I have been waiting over two weeks for it! My son is excited for me to make him chocolate lava cake. Excited to dig into this book, and get started! The German Chocolate Cake Donuts!! I’ve just started following you, but I can’t wait to try the zero carb dutch baby! Lemon bread without at doubt is my favorite 🙂 although I have so many of your cookbooks (with one pre-ordered! ) that I can’t live without! Thank you for being so brilliant! 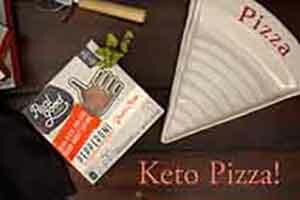 The pizza crust recipe with the psyllium husk. It’s nice and crisp! My family loves it. Although I’ve only been reading your amazing info on your site, I plan on experimenting with the donuts. They look incredible and I’m hoping mine can be as beautiful. I’m especially curious about the apple and chai donuts. Thank you so much for providing such a beautiful, informative, and friendly forum for us. I can’t pick just one. I enjoy seeing your recipe posts every day. I learned about jicama from your recipe post about using it for kids instead of the McDonald’s apple slices and caramel dip. I never heard of jicama before and only ventured to try it because of that post! So let’s say that’s my favorite recipe. Thanks for the chance at the prize! The Apple donuts and green bean casserole look great!! Well, it all does!! Maria’s Low Carb Pecan Pie was a revelation to me. Where else can you eat pecan pie and lose weight? Come on! Because sweets are my downfall I have 2 favorites, Healthified Rolos and Healified Nutter Butters. Yum. I have to say the lemon bread. It’s delicious! My favorite of your recipes is the eggs florentine with basil hollandaise and the keto buns. AMazing. Hard to choose just one. Everytime I try a new recipe it becomes my new favorite. Love to cook and experiment! 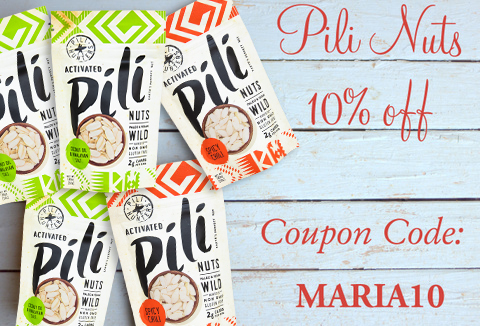 Thank you Maria for all the wonderful recipes! Today I am making your egg bread recipe. It has protein powder and 12 eggs! I make this often and it fills that “need” for bread in my life. I feel so much better now that I live the Keto way for almost a year now. I’ve lost over 50 lbs and never feel unsatisfied! I love following you and your cookbooks and feeling healthy! Just made the lemon poppyseed muffins for my mom for Easter- I think they are a new favorite! The Apple donuts above sound amazing and I LOVE your Keto Klondike Bars!!! 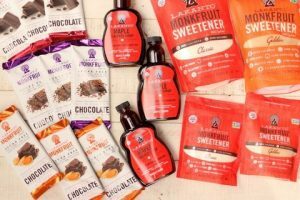 Love bring keto and can’t wait to try more of your recipes! I don’t have a facebook account, but I feel compelled to comment anyway because I made your slow-cooker ropa vieja last weekend, and my husband and son were licking the bottom of the cooker’s ceramic dish to get the last drop, they just loved it so much. Even my picky-eater daughter gave a thumbs-up. Many thanks for such delicious recipes! I’m gonna try to make your cinnamon rolls. I love your books. Leave a coment for one recipe that I love. Impossible, I love almost all of them. And right now I am lost, my sister want to try Keto so I lend her your books. I will get them back on sunday. Can’t wait. My favorite recipe is the alfredo sauce. The best ever. Oh and the ranch sauce. And the fish with parmesan, butter and mayo. Ok better stop now or I will write your whole book. Thanks so much! Please enter me – I love the chai glazed donuts – as well as the other recipes, too. Thank you. 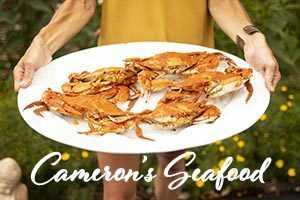 I have tried many of your recipes and have never been disappointed! But if I have to pick one, I would say your cinnamon rolls. Soooo good! I LOVE keto Greek Avgolemono – yummmmmm! Your easy hollandaise sauce has changed my life… really! Once I started making it my husband was willing to climb on board the keto wagon. … so Easter brunch will include keto eggs benedict (love mine on a bed of arugula), and roasted spring veggies smothered in the liquid gold. I have too many favorite recipes but the mini pumpkin muffins from your first cookbook are a family favorite. I am brand new to keto life and I didn’t think I would need a mixer, but since looking at your blog filled with donut recipes, I am beginning to think that a mixer is just what I will need. Donuts again on Sunday mornings…how grand! The apple donuts look yummy! My husband’s favorite is the Korean short ribs, and Ii love the Tom Ka Gai , and your flourless chocolate torte, and can’t wait to make the lava cakes for my special birthday in June! 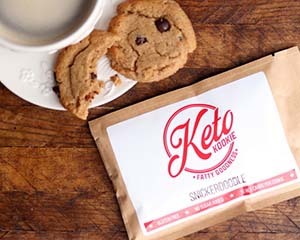 You are my Keto Hero! Love the donuts! My favorite is a simple one, but I’d be in serious trouble with out it… Your Protein Bread! It is amazing and a keto lifesaver! And I have to mention your vanilla ice cream recipe which is endlessly customisable. I’ve made it into everything from strawberry and blackberry, to mexican chocolate. SO GOOD! Just bought your cleanse cookbook and can’t wait to make your pancakes! I love love the chocolate pudding in the cleanse book! My most recently discovered favorite is your Chicken Alfredo recipe from your Quick & Easy cookbook…. absolutely amazing!! I was so impressed!! I am continually amazed at how spot on your recipes are…. I can’t remember any that I didn’t like (although I have learned to cut the sweetener in half – you’re sweet tooth is too sweet for me! 🙂 )! Can’t wait for the Comfort Foods cookbook to come out! Already pre-ordered! I’m sure next week I’ll have new favorites! 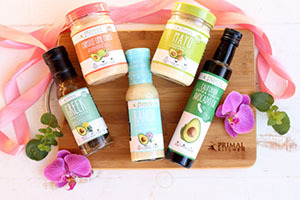 I love love love the salad dressing recipes – they are life savers! I LOVE your mini lemon cheesecakes & this mixer would work for those so well! Thanks for all your recipes & advice. 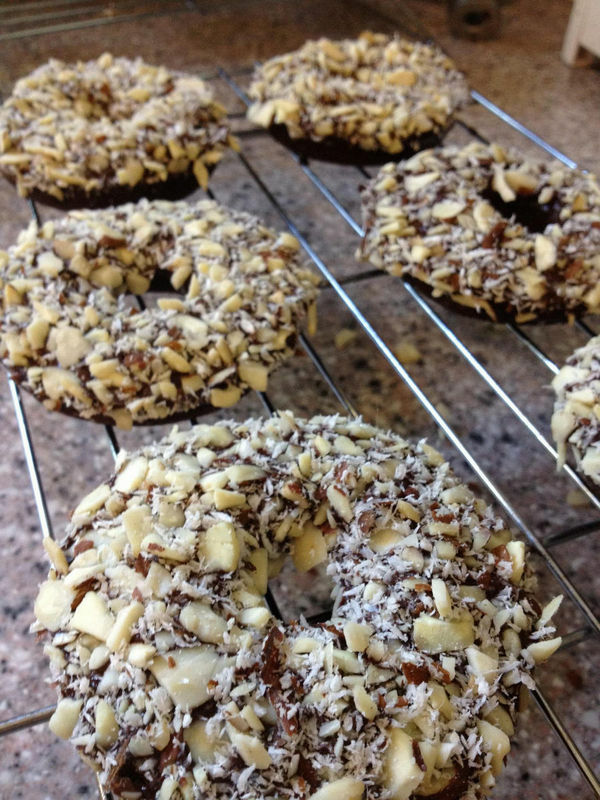 Hands down, I love the german chocolate cake donuts…bought the special pan to make cake donuts just for them. Even my dad, who is a picky eater loved the. I haven’t been able to cook or bake much if your recipes required a mixer because of the arthritis in my hands but I have enjoyed making many of your recipes plus I enjoy your newsletter & Facebook page immensely. I love your turtle cheesecake! I am not a cheesecake fan, but I wanted something sweet and delish so I gave it a try after trying wheat belly’s and finding it gross and tasteless. Yours was best I have EVER had, ever.. I mean EVER! My whole family loved it! The crust is buttery and tastes like graham cracker. The caramel turned out perfect! I am buying more stuff to make another since we cleaned that one out. It was my daily slice of dessert and fat. I love it! I now want to try those apple donuts! I love your breakfast chocolate pudding/mousse! Yummmm!!!!!! My second favorite is the orange dreamsicle smoothie. So delicious, fills me up for hours. I’m a WI girl living in TX……Pick meeeee!!!!! Go Pack! OHHHH! The list could go on and on of my favorites!! Now since being here in this page I want to try all the donuts! Please enter me . I am hoping to try the Reuben salad kabobs for a cookout soon. They sound great. I m not sure I can bring myself to come up with a favorite recipe. Everything I’ve tried so far has been amazing. But to boil it down a bit, I would have to say that your healthified shrimp scampi bake is one of my faves. 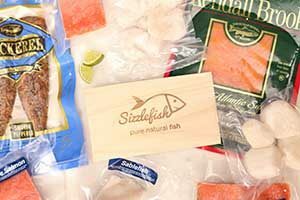 Of course I m a seafood lover to start with so maybe I’m a little biased. Thanks for doing what you do to support all of us users. I couldn’t possibly pick just one! But I do love that turtle cheesecake…and the turtle cheese cake…and the marinated mushrooms…I could go on! Love the cinnamon rolls , making them again for this weekend. Thank you for all the wonderful recipes and cookbooks. I’m new here, but not new to keto. I will be attempting your Zucchini bunt cake, as minis, for Easter! 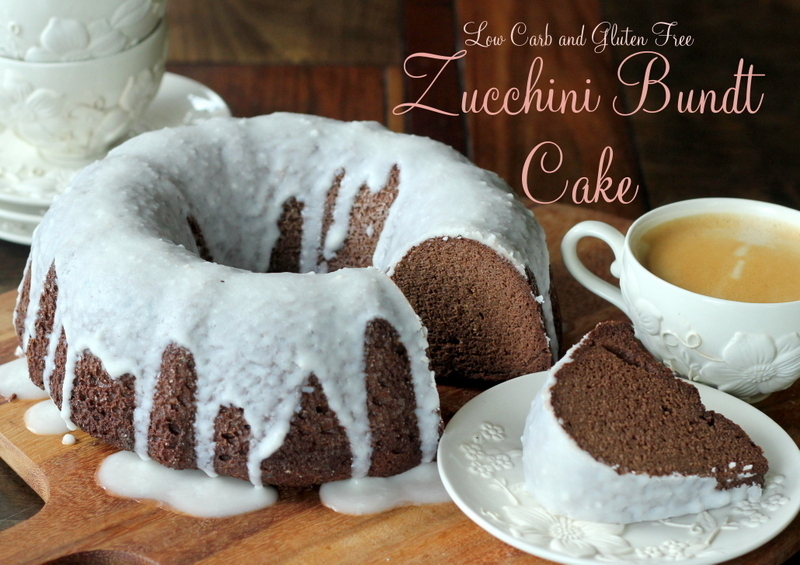 Zucchini Bundt Cake is my favorite. 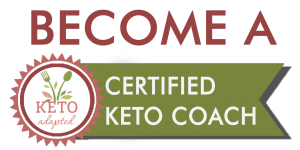 My husband and I began our new Keto-life with your Ketogenic Cleanse book, it was a life saver as we were so new to how this diet works; we loved every recipe! After coming off the cleanse and convinced to keep going my husband has made your ice cream recipes multiple times, especially the coffee ice cream! Pumpkin Sorbet or Chai glazed donut!! It’s my birthday next Friday and looking forward to trying the chocolate cheesecake. Thank you for helping me LOVE the KETO way!!!! I love all your recipes, but have a special fondness for your Dutch Baby pancake. I have gone through so many hand mixers. 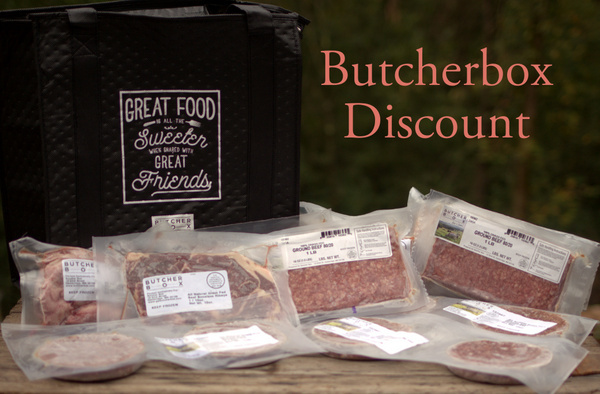 It would be nice to have one that will stand the test of time and your recipes. I love your apple flavored ice cream! My husband and I both try to make low carb food. This would be a great addition to our little kitchen. Love the German chocolate donuts for me and the apple for him. Yay! I am so excited about this book. Thanks for the giveaway. Crab Rangoon! OMG so good! A must try. The lemon bread is great! I love the pumpkin donuts ! I just bought the keto cleanse book at Costco!!! No-bake cheesecake is always good! Amazing bread is amazing! Almost finished with the cleanse and have loved every recipe I’ve tried. Better yet, so have my kids! The pudding is a fave! I made hope PB chocolate covered eggs for easter and they are great! Love that we can still enjoy some of these treats on special occasions without all the sugar! So thankful for you Maria and Craig! Love so many and they all work perfectly. Turtle cheesecake is a favorite of my husband. 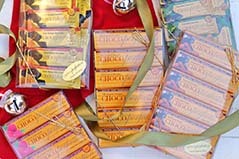 I am a chocoholic so any chocolate recipe is always my favorite! You can’t beat the Nutella Cupcakes, This hand blender would be awesome to have! I love your caramel apple cheesecake recipe! It is so delicious I can hardly believe it’s keto. 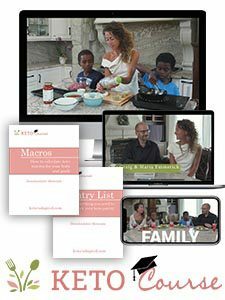 I am a newbie and just discovered Maria’s books and website last week. I tried the Chicken Alfredo on Zoodles and instantly knew that I can live happily doing keto. We love your Sloppy Joe Recipe and your pumpkin muffin recipe. I am a ranch-aholic and absolutely love your dressing recipe! I was immediately drawn to “sauces, dips, dressings and more.” Loving it! 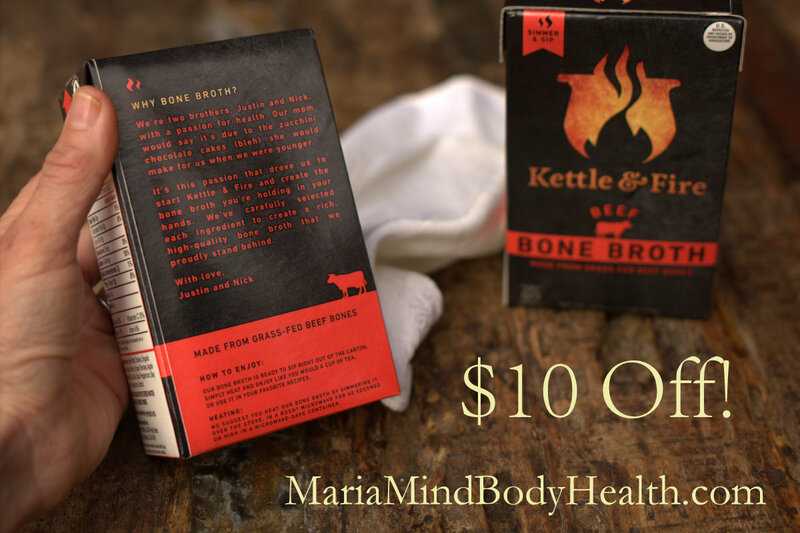 I love making bone broth in the crock pot to use in many other recipes. It is so nutritious. I LOVE the Dutch Baby Recipe. I make it several times a month. It’s my favorite thing to eat coming off of a long ish fast. i LOVE YOUR Amazing Bread and have for years! Hard to pick just one. But zero carb pancakes are at the top of my list. ALL your ice cream recipes, flourless chocolate torte, amazing bread, ALL your cabbage recipes………..think I should stop now! My favorite recipe is your “The Best Bread.” I love my Cuisinart appliances as well! Love your ice cream recipes!!! As for a recipe, it’s so hard to choose. However, I’ve been pointing people in your direction (for healthy recipes) by introducing them to your Amazing Bread. They all look amazing Maria, but if I have to pick one those Chai Tea Glazed Donuts look the best to me! Thank you for all your wonderful recipes! My favorite recipe of yours is your bulletproof ice cream! I love the low carb french toast! Love your recipes, thanks so much for all the help! almost every one of your cheesecake recipes! However, for main dishes it would have to be the Enchilada Casserole & for dessert it would have to be “Healthified” Lemon Bars. 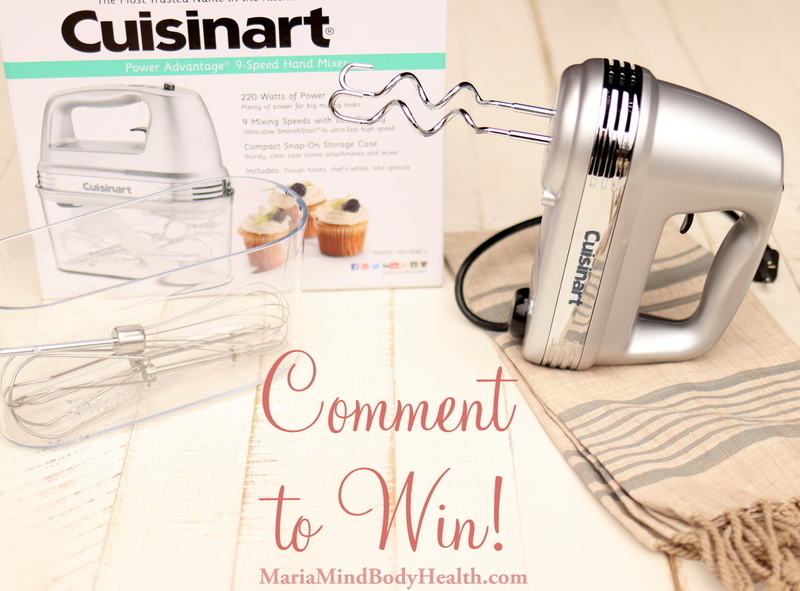 I would love to win this hand mixer as the pitiful excuse I was just using just gave out on me for good yesterday and though I love Cuisinart products, I’ve not had the opportunity to try the hand mixer. I have RA and even trying to mix the smallest of items with the ole five-finger powered mixer just doesn’t seem to work as well any longer. The tiramisu cheesecake would definitely be a favorite! I love your recipes-I have two of your books on my kindle, one checked out from the library and I plan on getting the one from costco! I hope that by commenting on the blog that you get a chance for the giveaways as I don’t have Facebook and don’t want to sign up for it. A chai glazed donut sounds awesome right about now too! I LOVE your Dairy-free Ranch Dressing from the Quick & Easy cookbook. I always have a container full in my fridge! We are just starting to transition to Keto to help our daughter who has intractable epilepsy and autism. I was amazed that the first book I picked up of yours had 75 pages of information before ever getting to a recipe; I learned so much! My girl is a pretty good eater, but loves her ranch on almost everything…our favorite recipe so far has got to go to your dairy free ranch. It has the most amazing flavor and I can’t imagine ever going back to store bought. The breakfast chili! I am always looking for breakfast variations! I’m about to be all over the nutella cupcakes, too! I really KNEAD this mixer to make them happen! Happy weekend! I have followed a low carb diet off and on for years. I have used many of your recipes…but your sweet treats are my favorites! I just purchased the 30 Day Ketogenic Cleanse and your quick and easy Ketogenic Cooking books! I am ready to get started again! Your bread!! I make them into buns for burgers! Love love love. I would like to learn to make apple donuts. Just purchased the 30 Day Cleanse and look forward to trying some of the recipes. I don’t remember the exact name, but I really love your brownie recipe. Like other comments there is so many to mention. I do love your Strawberry Cheesecake Ice Cream. So yummy. Thank you Maria!! I love the fudgey brownies! The cinnamon roll recipe is my family’s favorite! I love that we can still enjoy delicious family traditions while enjoying a healthy lifestyle! Thank you. The cinnamon roll recipe is my family’s favorite! A new hand mixer is just what my kitchen needs! I love your lemon bread! I love your miracle coconut flour bread! All are my favorite!! 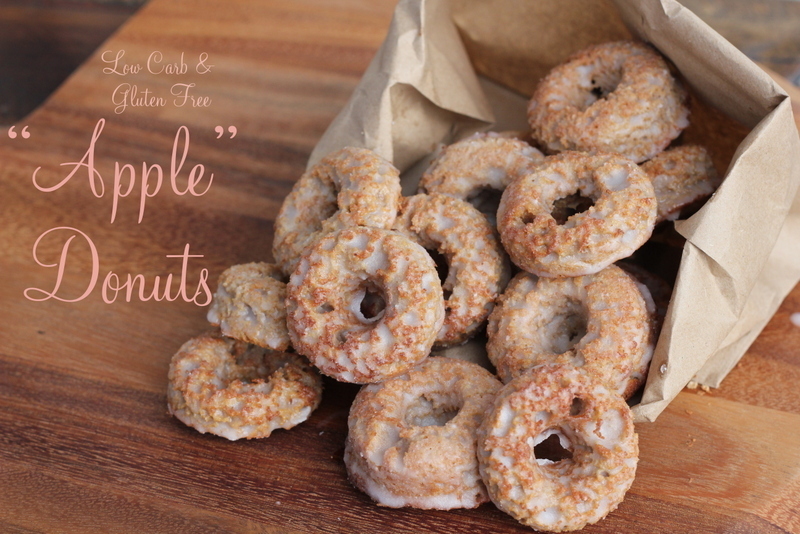 “apple donuts” are one of my favorites!! It’s hard to pick a favorite, because each recipe is so amazing. I’ve hated chili all my life until I ate your “Breakfast Chili.” My husband and I love it. It will be a go-to recipe for the November hunting camp!! your faux cornbread! I make it weekly…and have been for almost a year! 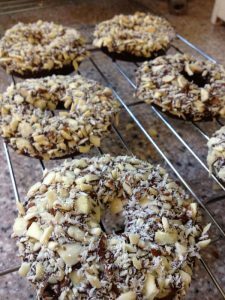 The German Chocolate donuts sound amazing! Maria, I just purchased your “Quick & Easy Ketogenic Cooking” book and I LOVE it! The recipes look amazing, easy and I cannot wait to try them! I am starting with the 7 Day Weight Loss & Healing Plan and am going shopping for the ingredients tomorrow! The information about the reasoning for eating the Ketogenic way in this book is priceless! I signed up for your newsletter, got onto and shared your Facebook page, and I can’t wait to learn more from you! You have taught me a lot my friend, and I cannot wait to embark on this journey with you! Thank you Maria! Kimchi eggs, Chocolate pudding and Chicken liver pate’,….I can not pick just one!!! 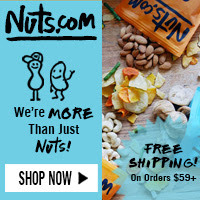 Love the site and books! Cinnamon rolls are my fav! How do you pick just one. Ok Lemon bread. I cream or chocolate pudding. OOOO I forgot about the German chocolate cake donuts! Loved those! I love the chai glazed donuts! I have loved all of the ones I tried, I can’t pick a favorite! I am less than one week in – down a little over 4 pounds and I’m literally never hungry. The Greek Meatballs from the 30 day Ketogenic Cleanse are amazing! (my husband is Greek and he loved them too – the lemon rind really adds exactly what is needed) I also tried the Catfish – again outstanding…so much so that after making and tasting the Meatballs, I immediately searched, found your new book and this site and ordered it – I can’t wait eventhough I have a bazillion more recipes to make in the first book. I happened upon the book at Costco, flipped through the recipes and said what the heck – these sound great! 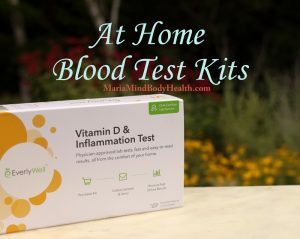 I’m literally shocked at the reduction in my inflammatory responses in such a short time. I’m hoping not only for weight loss, but also as a possible migraine reducer – I’ve had them for 40 plus years. I will certainly keep you and your community posted. In addition to the recipes, I appreciate all of the informational hows and whys in the book. I cannot tolerate/stomach erythritol, sorbitol, sucralose and so on. I therefore ordered plain (nothing added) Monkfruit and hope to use that where needed even if I have to make a syrup first. Thank you doesn’t seem to be enough to say – so Thank You from the bottom of my heart! 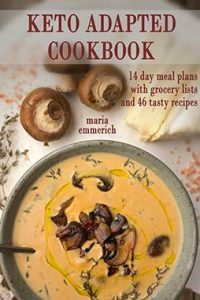 I am just starting out Maria, but I did get your Quick and Easy Ketogenic Cooking book from the library and I know I will have to buy the book. Wow, just incredible and after perusing through, the first recipe I plan on making is the Fish Tacos. Thanks so much! I want to try these apple doughnuts! Waffles! and I love a hand mixer.